Plants often require protecting from pests, diseases and competitive weeds. Consider non-chemical solutions first, but if a chemical control is used, follow the instructions accurately to ensure that people, pets and the wider environment are kept safe. Chemicals are best used when it is not possible to control the problem through other methods. There are products available for use for most pest, disease and weed problems that occur in the garden. For small scale jobs consider ready-to-use packs. In many cases the nozzle design on these is really only adequate for treating a small area though some now have pump action and can be used on larger areas. There is an extremely low risk to gardeners from diluted chemicals, and the slight hazard of garden chemicals comes mainly from the concentrate. 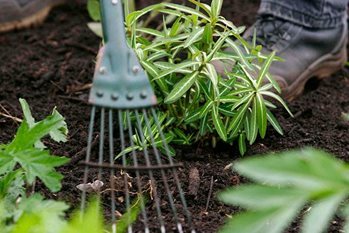 As well as measures to protect the operator and nearby plants, gardeners using chemicals are responsible for protecting children, wildlife and the avoiding pollution of the wider environment.